The Elemental Paladin. 32nd. 7791 total levels. The ign, as you can guess, came from Kingdom Hearts Birth By Sleep, just like my Mihile's. This Paladin was born from a CK when we had ultimate adventurer creation back then. The inventory space is still horrible, dood! Paladin has some things that Mihile doesn't have. I'm not saying one is better than the other, both are good in their own ways. Elemental Charge attacks. This is what makes Paladin strong when fighting element weak mobs. Shorter vertical range compared to Mihile's Radiant Cross, but since I did achieve 100% critical rate on a Paladin, I was able to 1 hit kill mobs easier, so it sort of balanced itself out. Also, those hammer animations, especially Divine Charge. Lookin' good, dood. Shorter ultimate cooldown. Paladin's Heaven's Hammer, about 9 second cooldown, range all around the character. Mihile's Charging Light, 20 second cooldown, range forward and above the character. Charging Light does cast a debuff that increases your damage for 10 seconds though. No need to worry about activating Soul Shield. If you're like me and can't get Mihile's Soul Shield to work, then Paladin might be the better experience. Paladin has many damage reducing and defensive skills such as Shield Mastery, Achilles, Divine Shield, and Threaten. Rhinne's Blessing for even more reduction. This post was about 2 days late because I did this on a Saturday night and I sort of forgot about it. Was also bothered by the water stuck in my ear for 3 days, but it's all better now. 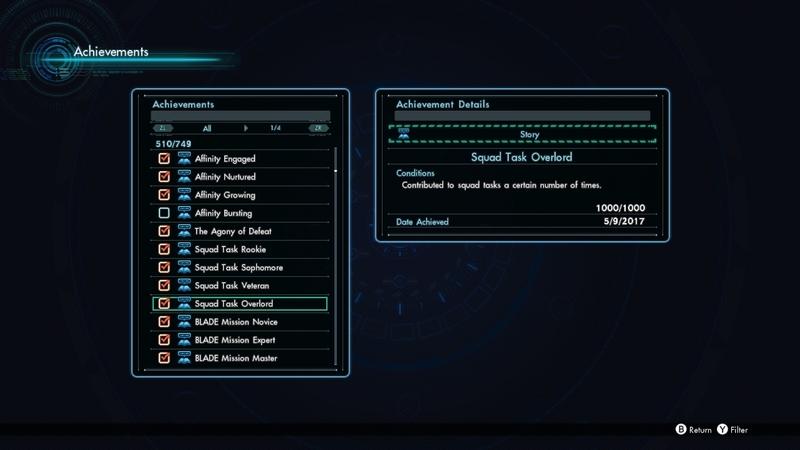 I will say, I can't get enough of Xenoblade Chronicles X. I think I have a serious problem/addiction. I found out that there's still 2 more characters I can recruit, but every time I load up the game to do this, I find myself getting distracted by the Squad Tasks. I was never helpful with these early in the game, but now that I have this Ares 90, I want to return the favor and help other squad members. It's also satisfying to find these high level equipment and pass them on to other players new to this game, something called Treasure Deal. I also got 500+ achievements now. I think that's a good stopping point, it's probably not possible for me to get all of them, but I'll try my best. The game is still not over yet, I really need to find those other 2 characters, dood. Congratulations! Celebrate with spinach ravioli! I guess I can stop now, knowing that I've done it that many times. Tuesday tunes, dood. I'm ready for Xenoblade 3 please. But good architect almighty, keep the character limit to 10 for fricks sakes. There was way too many blades(characters) in 2. Like, Torna did it right, it was perfect. Tuesday tunes, dood. Ah yes, the joy of having mucus around this time of year. Finally, Legendary Legion. 36 attackers! Totally worth it, dood. I'm glad I was able to achieve this during the half off rank up event thing. If we didn't have this event, it would have taken another month. Oh my god, what the frig. This is so crazy, dood. 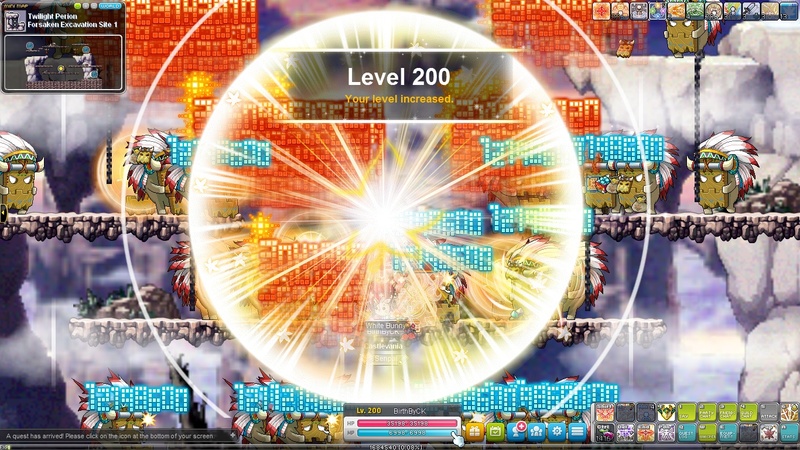 I feel like one of those bullet hell things from Touhou, dood.